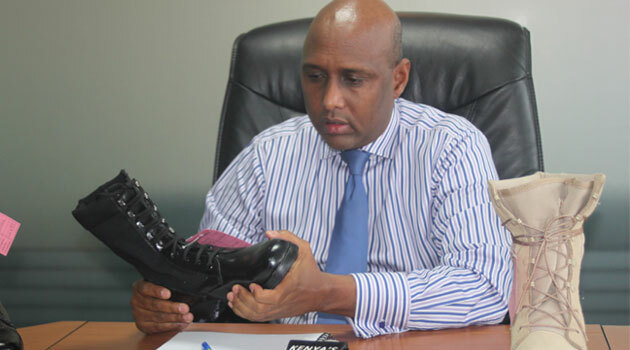 Small and Medium Enterprises (SMEs) will be integrated in the proposed Kenanie Industrial Leather City, the Cabinet Secretary for Industrialization & Enterprise Development Adan Mohamed has said. Speaking when he led a team of Government officials in touring the OSTIM Industrial Region in Ankara Turkey, Mr Mohamed said: “SMEs play a crucial role in Kenya’s development; and as such they have been allocated sufficient facilities so that the small businesses can support the growing needs for the sector, as well as create job opportunities”. The OSTIM region in Turkey is one of the largest and most important small and medium-sized industrial production areas, and combines production flexibility with the advantages of a large machine park. OSTIM produces in 17 main sectors together with 5000 enterprises, spread over 5 million square meters and employs over 50,000 people. Key sectors include textiles, leather, urban furniture, machine equipment and automotives. While noting the numerous challenges the sector faces in Kenya, the CS said, “We are aware that standards, capacity and market are major issues faced by the sector and the examples we will draw from world class regions such as OSTIM will go a long way in addressing historical issues that affect the Sector. He added, “work sites have been a problem in the past and the integrated park will address this problem initially for the Leather Sector SMEs”. Last year, the Kenyan Government signed an MOU with the Small and Medium Enterprises Organization of Turkey to support growth of the Sector during President Kenyatta’s visit. The Ministry of Industrialization announced this month the launch of the Leather Industrial City that is slated for ground breaking next month. He was accompanied on the tour of the Zone members of parliament and senior Ministry officials.